When historians look back at 2008-10, what will puzzle them most, I believe, is the strange triumph of failed ideas. Free-market fundamentalists have been wrong about everything — yet they now dominate the political scene more thoroughly than ever. How did that happen? How, after runaway banks brought the economy to its knees, did we end up with Ron Paul, who says “I don’t think we need regulators,” about to take over a key House panel overseeing the Fed? How, after the experiences of the Clinton and Bush administrations — the first raised taxes and presided over spectacular job growth; the second cut taxes and presided over anemic growth even before the crisis — did we end up with bipartisan agreement on even more tax cuts? The answer from the right is that the economic failures of the Obama administration show that big-government policies don’t work. But the response should be, what big-government policies? For the fact is that the Obama stimulus — which itself was almost 40 percent tax cuts — was far too cautious to turn the economy around. And that’s not 20-20 hindsight: many economists, myself included, warned from the beginning that the plan was grossly inadequate. Put it this way: A policy under which government employment actually fell, under which government spending on goods and services grew more slowly than during the Bush years, hardly constitutes a test of Keynesian economics. Now, maybe it wasn’t possible for President Obama to get more in the face of Congressional skepticism about government. But even if that’s true, it only demonstrates the continuing hold of a failed doctrine over our politics. It’s also worth pointing out that everything the right said about why Obamanomics would fail was wrong. For two years we’ve been warned that government borrowing would send interest rates sky-high; in fact, rates have fluctuated with optimism or pessimism about recovery, but stayed consistently low by historical standards. For two years we’ve been warned that inflation, even hyperinflation, was just around the corner; instead, disinflation has continued, with core inflation — which excludes volatile food and energy prices — now at a half-century low. The free-market fundamentalists have been as wrong about events abroad as they have about events in America — and suffered equally few consequences. “Ireland,” declared George Osborne in 2006, “stands as a shining example of the art of the possible in long-term economic policymaking.” Whoops. But Mr. Osborne is now Britain’s top economic official. And in his new position, he’s setting out to emulate the austerity policies Ireland implemented after its bubble burst. After all, conservatives on both sides of the Atlantic spent much of the past year hailing Irish austerity as a resounding success. “The Irish approach worked in 1987-89 — and it’s working now,” declared Alan Reynolds of the Cato Institute last June. Whoops, again. But such failures don’t seem to matter. 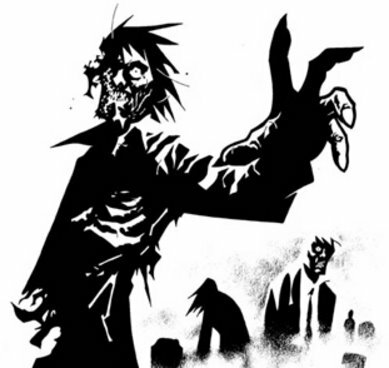 To borrow the title of a recent book by the Australian economist John Quiggin on doctrines that the crisis should have killed but didn’t, we’re still — perhaps more than ever — ruled by “zombie economics.” Why? Part of the answer, surely, is that people who should have been trying to slay zombie ideas have tried to compromise with them instead. And this is especially, though not only, true of the president. People tend to forget that Ronald Reagan often gave ground on policy substance — most notably, he ended up enacting multiple tax increases. But he never wavered on ideas, never backed down from the position that his ideology was right and his opponents were wrong. President Obama, by contrast, has consistently tried to reach across the aisle by lending cover to right-wing myths. He has praised Reagan for restoring American dynamism (when was the last time you heard a Republican praising F.D.R.? ), adopted G.O.P. rhetoric about the need for the government to tighten its belt even in the face of recession, offered symbolic freezes on spending and federal wages. None of this stopped the right from denouncing him as a socialist. But it helped empower bad ideas, in ways that can do quite immediate harm. Right now Mr. Obama is hailing the tax-cut deal as a boost to the economy — but Republicans are already talking about spending cuts that would offset any positive effects from the deal. And how effectively can he oppose these demands, when he himself has embraced the rhetoric of belt-tightening? Yes, politics is the art of the possible. We all understand the need to deal with one’s political enemies. But it’s one thing to make deals to advance your goals; it’s another to open the door to zombie ideas. When you do that, the zombies end up eating your brain — and quite possibly your economy too. House Judiciary Committee Subpoenas Full and Unredacted Mueller Report - “I cannot accept any proposal which leaves most of Congress in the dark,” Rep. Jerrold Nadler said.